Well! We don’t want to create any pressure regarding marriage proposal ideas, but the truth is your marriage proposal story would be told to your friends and family members for the rest of your life. And now, we can see some anxiety on your face because you are absolutely clueless about creative proposal ideas. Actually, you are not alone on this journey, many find it difficult. Afterall, the heart of a lady is much like an ocean, and it is not easy to touch the shore. Whenever we hear the term ‘marriage’, our mind starts roaming in a picturesque lavender field. Marriage brings a lot of happiness, prosperity and good wishes in our life. It is like a dream for many people. Honestly, it is easy to dream but to chime the wedding bells, it needs some extra efforts. There are plenty of popular marriage proposal ideas, but not every idea is as unique and beautiful as marriage. Some of the popular ideas include placing the ring in a wine glass at a classic restaurant or getting down on one knee. These are traditional and do not offer much uniqueness. So, you have finally gathered up the nerve to make the moment special, memorable and perfect. Then we are happy to announce that you are at the right place. Here, we would talk about top 100 stunning marriage proposal ideas that would blow your mind. The ideas are marvelous and creative. So, veer off the usual path and hop into these beautiful ideas. A Collage never lies. To surprise your soul mate, you can frame the best pictures of you two, and give a gift. The smile on your love’s face would actually say everything on your behalf. And that is actually the perfect time to propose. Undoubtedly the sight is going to be marvelous. Take your soulmate to the place where you two met for the first time. The nostalgia of the ambiance would take you two to a different world. And propose your partner at that very instant. The vibe and the ambiance would itself create a magical moment for you two. This is one of the most beautiful marriage proposal ideas for sure. Book a cruise and propose your soulmate in the middle of the ocean. We are sure that your partner would be thrilled. Music purifies our souls and can elevate an entire ambiance. So, you can call some amazing musicians or a professional choir to wait at the roadside. The moment you reach the place along with your lover, they would start singing. And that is the signal, you have to propose at that instant. To add a touch of personalization, you can ask the musicians to name your partner in the middle of the performance. To make your proposal unique, you can plan a vacation to some other countries. And decorate the place with the help of professionals. Surprise your SO of life with a beautiful marriage proposal. We are pretty sure that this is going to be one of the amazing marriage proposal ideas. 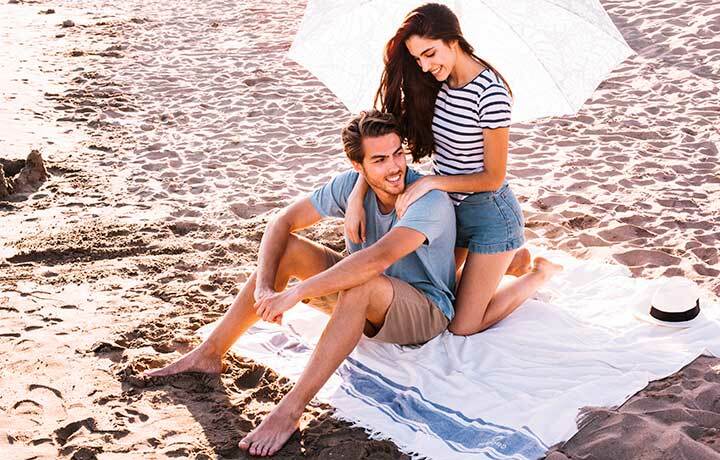 Take your beautiful soulmate to the nearby beach. And recite a handwritten proposal note. Make the regular beach-walk into a memorable event of your life. If you love to draw and creating graffiti on the walls of your city is kind of your hobby, then these type of marriage proposal ideas are made for you. Draw something dedicated to your soulmate. And propose the love of your life in the unique way possible. Give your sweetheart a sensuous and alluring oil massage. Save the left hand for the last. Then while doing that on the left hand, put on the ring and propose in the most unexpected way. This is an amazing idea to turn an adventurous real game into something beautiful and unexpected. Tell your love to find out the clues and cues hidden in some scattered places. You have to hide somewhere and watch everything. When your soulmate finds the final cue, just show yourself and propose at that very instant. Hold on! This is gonna be the most exciting of all the marriage proposal ideas. Call your love to come to your place. In the meantime, write the note “Will you marry me?” and leave it with colorful flower petals in your bedroom. Then just leave the door ajar. Hide inside your house. When your soulmate enters, and would finally discover the note in your bedroom, show up yourself to see the reaction. The sight would be beautiful and emotional for sure. So, as soon as your love alight from flight or train or from any other vehicle, make sure that 4 of your friends hold up the boards saying the 4 magical words. “Will you Marry Me?” This surprise would compel your sweetheart to say yes for sure. Go to the nearby dance hall. Ask the DJ or the anchor to give you the mike. Dedicate a song to the love of your life. And finally, propose with the spectacular ring. Isn’t it magical? Yes! This is totally different and unique. Hire a skywriter if you can, to write the proposal on behalf of you. Just visualize the face of your lucky charm. Isn’t it beautiful? Well! This is one of our favorite marriage proposal ideas. If your love listens to a particular program on radio. Then broadcast your message, make sure your sweetheart had tuned that particular program. What do you think, your fiancé would say? We can already see your excited face. Go to a nearby aquarium. Give the divers to put on a waterproof proposal message saying “Will You Marry Me” inside the aquarium. The board would be displayed in such a way that it would surface while your love feeds the fishes. We would definitely include this idea within our favorites. After a long and tiring day, go to the nearby beautiful restaurant. Arrange some flowers, aromatic candles, exotic champagne and set everything for a perfect sunset proposal. Can you imagine how beautiful your love would look at that moment? We think we have found one of your favorite marriage proposal ideas. “Will You Marry Me” has total 14 letters. So, print all these letters on 14 T-shirts, and ask your close buddies to put on the shirts. Next step is to click a group photo. Ask your friends to line up in such a way that it reveals the message. And see the beautiful expression of your love. Choose the most beautiful wall of your house. Decorate the wall with beautiful pictures of you two. Invite your love to your home. Do not forget to blindfold your sweetheart. Unfold the ribbon only when you two reach that room. We are already thrilled to imagine how beautiful the sight would be. If you love music and experiment a lot with music, lyrics etc. You can make a beautiful song only for you love and record that. Send it to your sweetheart. We are sure that your soulmate would fall in love with these kinds of marriage proposal ideas. Prepare a gift box, which would have exotic chocolates and few other interesting things. Hide the ring box within the gift and surprise your love. These are quite exotic ideas for sure. Tell your partner that you two have been called for a couple role in a telefilm. Then propose your love in front of the cameras. Go to your favorite cake shop, ask the chef to write to bake a pastry especially for your love. Write “Will You Marry Me?” and ask the chef to hide the message within the tasty pastry. Make sure the flavor is your love’s favorite. Gift this and wait to hear the most beautiful word. Visit your fiance’s office or classroom before they arrive. And write down your message on the personal desk. It is one of the most exciting marriage proposal ideas. This plan would not work without the help of your fiance’s co-workers. Arrange one last-minute meeting in a different place. Ask the colleagues to convey that to your love. Next step is quite easy. Appear in the place and surprise your fiancé with a beautiful proposal. Tell your partner that you two have won a romantic photoshoot contest. Hire a creative photographer. During mid-shoot, propose your love. Can you imagine the beautiful sight? Well! We already can. Clean an egg, and put the ring inside of that. Write down “Open with a smile” or something like that on the eggshell. And keep that in your refrigerator. Invite your love of dinner and create a situation so that your love opens the fridge. And we hope you have already understood what is gonna happen next. Isn’t it one of the most inexpensive yet cute marriage proposal ideas. If your love is a movie lover, enact a romantic proposal scene from a very popular movie. And surprise your soulmate in a different way. Choose a beautiful garden or a road where various types of beautiful flowers have bloomed. Go for a walk with your love. And propose your love at the right moment. Choose a place far from the noise of the city. Make sure that Sky is clearly visible from the place, rooftop would be best for this. Go there with your love. Propose your soulmate under a starry sky. We can already imagine the mesmerizing sight. If your love likes pets, then adopt a baby animal (puppy or other babies) for your love. And tie the ring around its neck. When your love will find out the ring, the sight would be magical for sure. Set up a romantic vacation on the eve of New year, then in the midnight propose your love in a romantic way. Go for a night out on a beach. Write a beautiful poem, drop that poem in a bottle. Then close the bottle with a cork. Find a suitable place and bury that bottle in that place. Next morning, dig that place together and surprise your sweetheart. This idea never fails. Thus it is counted as one of the best marriage proposal ideas. Arrange a beautiful candlelight dinner in a romantic place and behave like everything is normal. Then at the perfect time, propose. During the fall, this idea would work out the best. Arrange some leaves, and decorate your proposal. Then, go for a morning walk and surprise your love of life in the most unexpected way. Go for a day out to the nearby beach. Tell your love that you are going to draw something and would call only when it is finished. Then call your sweetheart and surprise. This is again our top preference in the list of marriage proposal ideas. Discover a colorful and beautiful wall in your city, and walk with your love there. Propose your love in the middle of the colorful city and amazing people. Many people want to make it extra special. If you are one of them, then choose a popular backdrop like Eifel Tower. Propose your love of life and capture the moment. If the weather permits, go to a snow-cladded And write your proposal message in a colorful way. Surprise your love in the most romantic way possible. 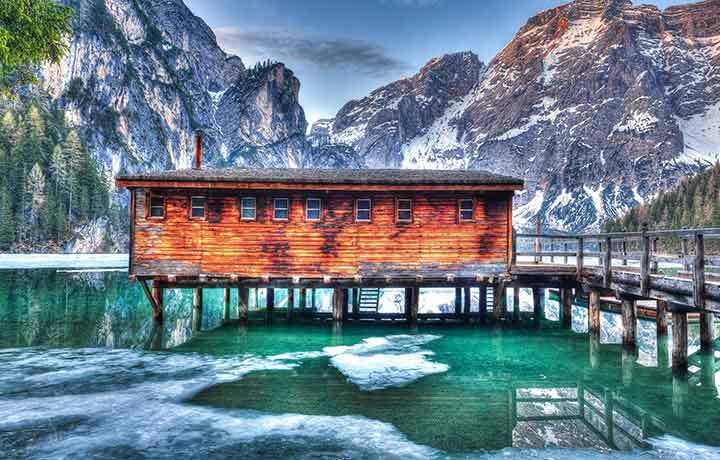 Go to a beautiful mountainside, hire a group of musicians. And propose your love in front of the picturesque backdrop. If your sweetheart is an art lover. Invite the intended to a beautiful art exhibition and display your proposal message in front of all. A hike that both of you remember forever. Place your surprise proposal ring at the end of your trail. Arrange everything. Go for a hike with your love. Capture every moment on the way. And finally, allow your sweetheart to open the mystery box. We are already excited to see your gleaming face. This may sound technical, but actually quite cute. If you are a technical person, you can create a dedicated webpage solely for your love. We believe this is one of the craziest marriage proposal ideas. This marriage proposal idea is quite over the top and has a beautiful personal touch. You can hire a personal chef for an amazingly yummy dinner. Save the ring for the dessert. And in the end, just go for it. If your love reads a specific newspaper, then this idea can work for you brilliantly. Talk to the agency, and write a dedicated article for your love every day for a week. Reach the climax at the end of the article. And lastly, ask those 4 magical words. This is surely going to be phenomenal. Not everytime, you need to go outside to do something extraordinary. A memorable event can take place at your home as well. Buy some beautiful candles. Adorn your whole house with those. Make a circle with candles in your bedroom, and place the ring box in the middle of that. Invite your love at your house, do not forget to switch off all the lights. Let candles show your sweetheart the destiny. We are sure that the rest of the story is going to be the most memorable thing for both of you. Wake up early, and slip the ring below your fiance’s pillow. Also, place the mobile along with that. Surprise your love with champagne and berries after your sweetheart finds it out. Place a long velvet ribbon from one side of your house to the other. Pinup memorable pictures with a sticky note along the path. Wait with a beautiful ring at the end of the path. We can already imagine your fiance’s gleaming face, can you? Buy some stickers that glow in the dark, or you can utilize refrigerator magnets as well to implement this stunning idea. Place those stickers on your ceiling in such a way that it reads, “Will You Marry Me?” in the dark. Turn off the lights, and wait for the astonishment. This is undoubtedly one of the most innovative marriage proposal ideas. Again a phenomenal idea indeed. Make a beautiful sandcastle together on a beach. Place the ring on the tower when your SO is not looking and wait for the moment. Isn’t it amusing? If you have a bike, then amazing. Else, you can hire a scooter or a bike and go for a fun ride. Before that, remind your love that how important it is to wear a helmet. And just slip the ring inside before giving the helmet. And after everything, you two can explore the city and celebrate. If your love likes reading, you can definitely take this idea. Place your proposal message note inside of your love’s favorite book. The moment it is discovered, be ready with a ring. We think you have already understood how fun-filled it would be. If both of you love adventure, then these type of marriage proposal ideas are perfect for you. Plan for a romantic vacation. While you two are on the flight, at quite a height from the ground. Take the help of the flight attendants and take the help of the loudspeaker to propose your love bug. If you two are childhood besties, then an amazing idea just for you. Go to the place where you used to play, just indulge in the nostalgia. Take the advantage of the ambiance, and write your proposal on the ground with a chalk. Surprise your significant other in the most beautiful way ever. Take your love to a walk, and ask to bring few things in a handbag. The list of things would be something necessary to opt out suspicion. Meanwhile, slip the ring box inside the bag. After walking for few moments, ask your sweetheart to give you a handkerchief or something like that is kept in the same compartment with the ring box. Just imagine, how amazing it would be when the whole thing is done. We just love these type of marriage proposal ideas for their freshness. This idea is stunning yet simple. Invite your love for a movie night at your place. Prepare two buckets of yummy popcorns. Place your ring box in the bucket, and wait for the climax. It is surely going to give you goosebumps for the rest of your life. Write those four magical words on a board. You can decorate that in your own style. Place the board in such a place that it immediately catches the attention of your love. If you want to make this bigger, go to Venice. 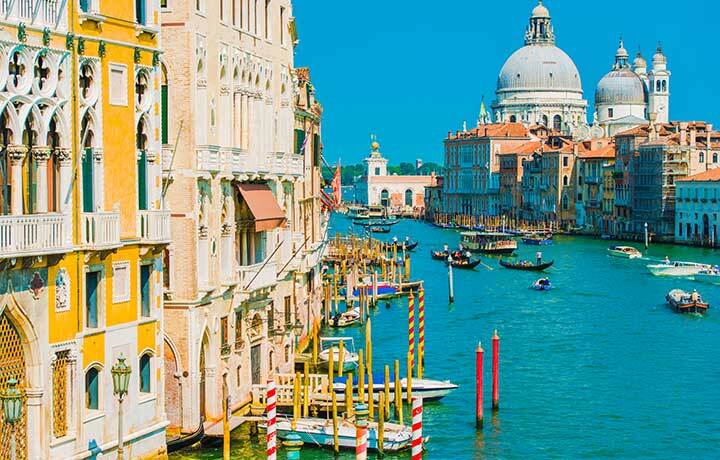 Propose your love of life on a Gondola while roaming in the most romantic city on You are already excited, right? Venice symbolizes romance, so no other marriage proposal ideas could have beaten this one. For a perfect picture, you do not need beautiful backdrop all the time. Spruce up your doorstep with beautiful decors and light it up. Make it a beautiful backdrop as you propose your lucky charm. Choose a beach with a beautiful lighthouse. Take that as a beautiful backdrop as you propose your love. 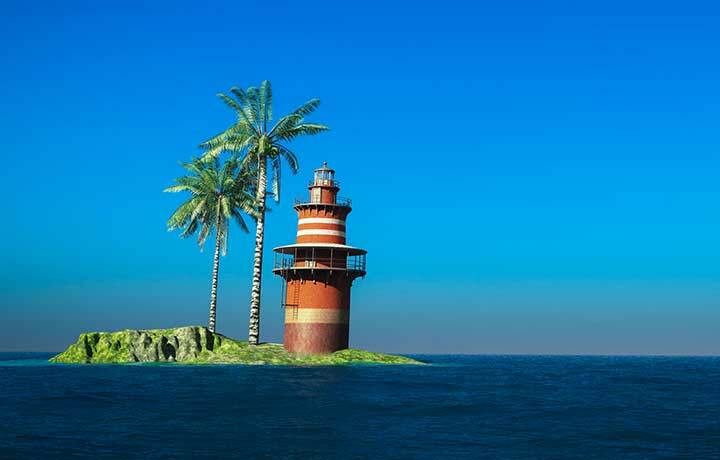 Let the lighthouse send out the beacon of love and charm. Prepare a beautiful tent for you two in the backyard of your place. Decorate that with lights, petals, and Let your love enter first. Surprise with a ring in your hand. Gift your love bug an album full of memorable pictures of both of you. Each photo should carry a special note. Let your love reveal all the pages, and then write the proposal message at the end of the page. Spectacular, isn’t it? We love how pure these types of marriage proposal ideas are. If your love bug takes a road every day, then this idea would be super successful. Hire some musicians and dress up like a single choir. Take the place of the lead singer. As your heartthrob approaches the place, take the name in a chorus. The moment your love bug notices you, start singing your marriage proposal. We are sure, it would a beautiful memory for both of you. Not roads, a façade can be a romantic place too. Wait with a ring in one hand for your love bug at the façade of a beautiful building. Thank us later. Our earth is full of scenic beauties. Spot a pleasing waterfall. Go for a vacation with your love there. Get down on bended knee in front of the awesome backdrop. And propose your love bug. The excitement of choosing the perfect marriage proposal ideas is never-ending. If you want to more adventurous, spot an iceberg. Go there with your charm, propose with a beautiful ring. The chillness of the place would turn into something warm and would melt down both of you. If you two are planning to stay together in a new apartment, then you can surprise your heartthrob in a different way. Choose a beautiful wall, decorate that with your proposal message. On the final day, surprise your love bug with a ring in your hand. Lit your rest of life with happiness and laughter. If you want to walk an extra mile and make the moment absolutely heart-warmer for the rest of your life, then this idea is especially for you. Choose a restaurant which is located in such a way, that a bridge works as the backdrop. Book the most exotic place of that restaurant, propose your sweetheart with a charming message and a beautiful ring. This is one of the most beautiful marriage proposal ideas indeed. Book a beautiful boat only for you two. Hire some people to decorate a part of the marina with flowers and lights. Anchor the boat, and lead your love bug to the beautiful site. Get down on your knee, and say those magical words. Enjoy the vibe of the atmosphere. To make this plan successful, you can take the help of the cutest member of your family. Take their help to forward the proposal message to your charm. Your sweetheart would feel aww, and it is gonna turn into a short and cute ‘yes’. If your city has a beautiful bridge, then take the advantage of that. Bridges look stunning. You can definitely propose your sweetheart over a scenic bridge. If you two often go to a nearby park, then turn your walk into something spectacular. Choose a heavenly corner, and propose there. We are sure, it is going to be a ‘yes’ forever. This idea may sound like a fairy tale, but you can trust us. We do not want you to look like a clown. Ask your close buddies to dress up like Disney characters, and create a magical moment. Propose your lucky charm in front of those childhood fantasies. So, are you ready to create a history with, these type of amazing marriage proposal ideas? Spot a beautiful verdant greenhouse in your locality. Take the advantage of nature and propose in the middle the spectacular greenery. There must be a restaurant where you dated on the very first day. If possible, book the exact table there. And propose your fiancé over dessert. “Will you marry you?”, surely the answer would be a yes. If possible, go to the highest building of your city. Propose with a ring in your hand, at the top of the place. This is surely going to give goosebumps for the rest of your life. 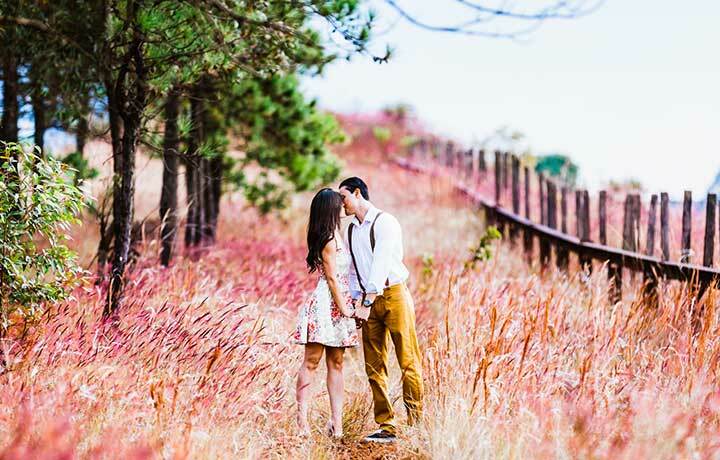 If historical spots allure you both, then these type of marriage proposal ideas are just for you. Visit a nearby historical place. Propose your SO. And capture the moment forever in your heart. Spot a beautiful sea coast. Propose your love in the most romantic way, while allowing the wind to take you two to a different world. Not only mountains or beaches, valleys can be romantic too. Spot a beautiful valley, travel there with the charmer. Propose among the picturesque greenery. You can definitely think of a beautiful theme based evening at your home. Decorate everything according to that, and propose your heartthrob in the most romantic way ever possible. If you want to do something extraordinary, hire a Limo for a day. At the end of a beautiful day, when your SO of life would alight from the car, wait for your charmer with a ring in your hand. These type of marriage proposal ideas are surprising and unique, aren’t they? Find a spectacular gazebo-like structure in your city. Propose in front of that spectacular site. Do not forget to tell your hidden photographer to capture that special moment. If both of you are a fan of the archaic smell, then the museum is your destination. Propose your love bug in a beautiful museum. We are sure it would be a memorable day for both of you. If adventure is in your mind, then this one is for you. Go to a picturesque desert for a vacation. 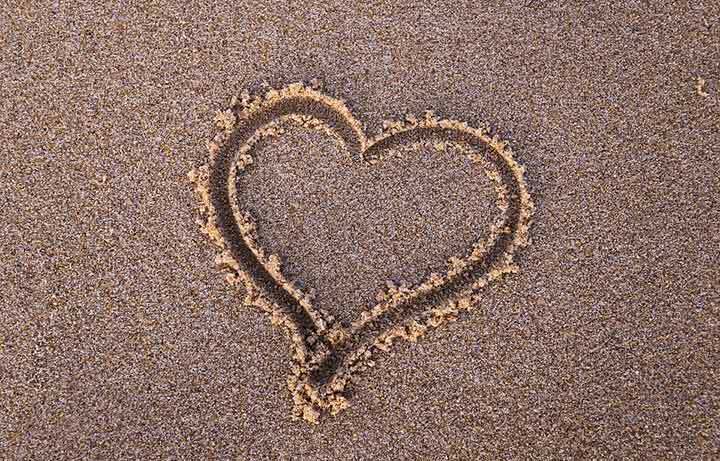 Propose your sweetheart and turn the roughness of sand into a soothing melody. A rainy day is not gloomy at all if you can make it fun-filled. Sing a favorite song of your SO, and propose on your knee. Marvelous, isn’t it? Being adventurous is always a part of marriage proposal ideas. Prepare a place on the beach with roses, different other flowers and a cozy tent. Propose your intended in a very romantic way. Are you ready to do something extra creative, then why not to propose on an old wreck. Afterall, old is gold. Treehouses are always a mysterious and beautiful place. So, why not to think out of the box? Make this moment special by proposing your love on a treehouse or in a glade. If you have the authority to cordon off a street, just go ahead to make that special. Propose your sweetheart and promise to protect your love with your life. The beauty of a beautiful yellow-orange pumpkin patch cannot be expressed in words. 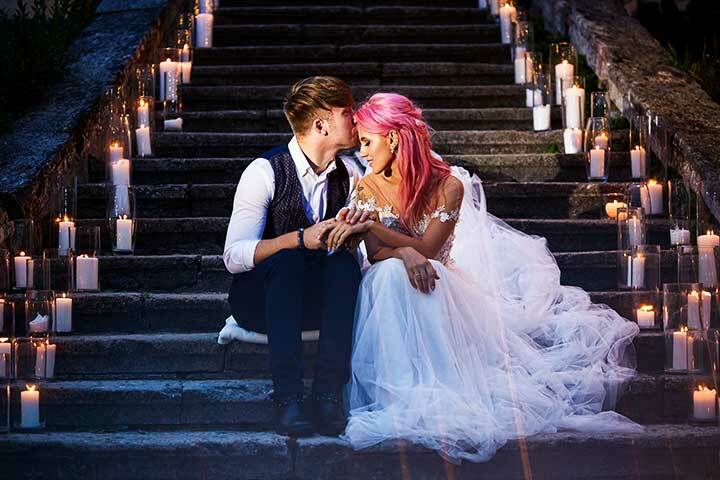 Make your marriage proposal happen in this type of heavenly place and make it unforgettable for the rest of your life, We love how stunning the scenic beauty of these marriage proposal ideas are. Go to the nearest botanical garden in your place. And propose your love in the lap of nature. Let your life be filled with laughter and sunshine. Make coffee for your love in the morning, make a love shape with ice cream on top. Surprise your SO while in-bed with a ring and a kiss. We are sure that it is going to be a ‘yes’ forever. It is not necessary to book restaurant all the time. Make a bistro lively with your beautiful proposal message and the laughter of your fiancé. A Greecian vacation is beautiful to make your plan successful. Make your love feel special in the Mediterranean setup by saying those 4 magical words. Make every moment beautiful. White is beautiful, isn’t it? Paris, this city in France is a mystery itself. A night in Paris is not only a mere phrase, it is actually spectacular, stunning. Take your SO with you to Paris, and make your proposal memorable forever. 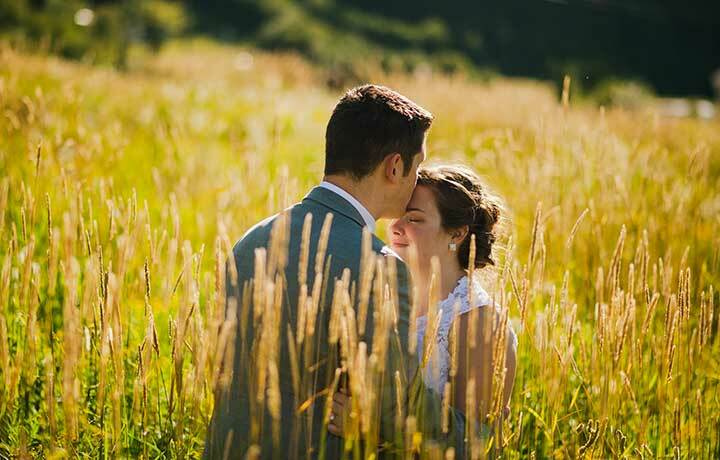 These marriage proposal ideas compel you to fall in love again and again. If you haven’t visited this beautiful city of Spain, then definitely you are missing something big. It is beautiful brick by brick. Make your trip memorable by simply saying those 4 words, “Will you marry me?”. Trust us on this, no one can say ‘no’ here. If your city is blessed with a harbor, explore that opportunity. Go there along with your closest buddies. Arrange 4 boards which would bear those words. Also, bring some flowers and balloons. Tell your buddies to hide someplace near. When the moment arrives, propose your love on your knee. The moment you put on the beautiful ring, they would display those boards and shower flowers. Isn’t it genius? The spontaneity of these types of marriage proposal ideas is really heart-throbbing. Tell your lovebug that one of your photographer friends wants a model for a famous photo shoot and ask for the consent of your sweetheart. During the photoshoot, simply get down on your knee and propose. Capture this stunning moment. Make your love’s birthday the D-day of your life. Pretend as if you have forgotten the birthday. Take the help of yours and her friends. Tell your love’s friends to take her out for some time. And in the meantime, switch off your mobile. Prepare everything at home. So, the moment your love enters, surprise a big time with the ring and the cheer of friends. Do not forget to hire a photographer in a jiffy. Propose your love in the center point of an ice rink. Capture the spectacular moment and frame it forever. A marriage is not the only bond between two hearts, it is a memory that plays in our minds forever. Do not make any leaf unturned while planning to make this moment special. 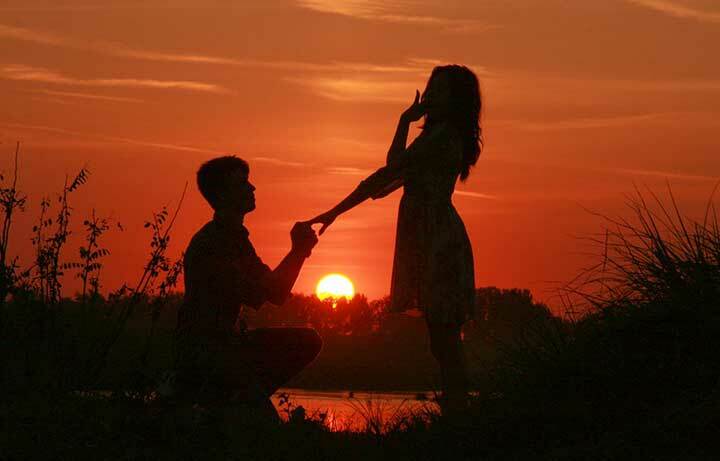 The above marriage proposal ideas would help you to plan your D-day. Each one of these ideas is amazing. These are unique, creative and full of fun. So, which one is your favorite idea? Surprise your love in the most unique way possible. Try to be more creative and spontaneous with your plans. Do not indulge in doing something that your love simply doesn’t like. Make it memorable with some beautiful photos. Deep Questions to Ask a Girl: Who says that it is tough to explore what a girl wants? These deep questions are perfect to know any girl. 150+ Random Questions to Ask a Girl: Often, you might have felt the need of some good and random questions that can be asked to anyone. Here is your solution. 100+ Personal Questions to Ask a Girl: Girls love to answer personal questions. Check these questions for your girl to woo her. 100+ Interesting Questions to Ask a Girl: Make your moments interesting with some realistic and interesting questions. Any girl is bound to love these. Woo her with your intelligence and presence of mind. 100+ Funny Questions to Ask a Girl: Every girl is a fan of funny questions. Fill her life with fun and entertainment with the help of these smart questions.